That special time of year is right around the corner, and you have to make sure that you don’t miss it. We’re talking about Valentine’s Day, of course! Don’t forget your sweetheart this February 14th and grab them something you know they’ll love – one of our Valentine’s Day Gift Baskets. Here are three of our Valentine’s Day Gift Baskets that we know will make it crystal clear just how much you care for your other half this year. 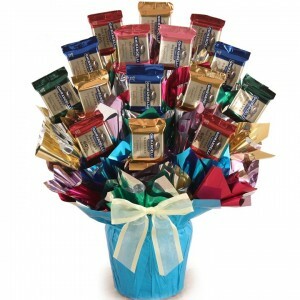 Ghirardelli Chocolate Candy Bouquet – This delicious array of Ghirardelli Chocolates is an ideal gift for your sweetie – especially if they’re chocolate-crazy! It comes in a gorgeous arrangement of the iconic chocolate bars, displayed like a bouquet of flowers. Who wouldn’t love being surprised with someone that looks like a bouquet of flowers, but tastes like chocolate? Champagne & Caviar Luxury Hamper – Does your significant other love the luxurious things in life? Our Champagne & Caviar Luxury Hamper has all that and more for their Valentine’s Day gift! With two splits of Champagne, Saraivanov caviar, and some fancy snacks to go with it, you’re sure to make your other-half say ‘Oo-La-La!’ when getting this Valentine’s Day gift basket as a surprise! Heart Mug Gift – Something small, simple, but thoughtful, our Heart Mug Gift shows your loved one that your gift is coming straight from where it counts this Valentine’s Day. With an adorably-decorated heart mug and matching festive box, your Valentine will be sure to get the message that your heart is there’s this holiday. Want to take a look at what else we have to offer in our Valentine’s Day Gift Baskets? Visit us and shop them today – only at BisketBaskets.com!